The average nonprofit started in America has a less than 50% chance of surviving to its fifth year. Furthermore, a study by the Taxpayer Advocate’s Office found that nearly 40% of recently-formed non-profits were improperly structured. Attempting to start a nonprofit on your own, without seeking the help of an experienced professional, may lead you into costly pitfalls. The formation process itself can be overwhelming and frustrating. Missteps taken in the beginning may put your non-profit vision at risk. PBSI can prepare and package all the necessary forms and applications for state incorporation and IRS 501(c)(3) tax exemption…even for your Federal ID number. At year end, we can prepare and file your 990 report. PBSI can provide a Project Manager during the formation stage of your organization. We also provide help with marketing, website development and grant writing. We can help you select an appropriate size accounting system, implement fund accounting and provide training and an easily customized Treasurer’s manual for one low fee. Creating nonprofit policies begins with knowing what they are. Policies are the operational guidelines for an organization. 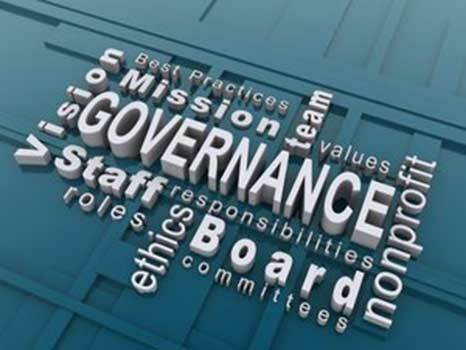 The purpose of policies is to protect and steer the staff and the board as they fulfill the mission of the organization. They are a reference tool for appropriate action, ethical decision making, and for dealing with potential or actual conflicts. Policies can paraphrase a law, explain a procedure, clarify a principle, or express the desired goal. They are the protocol to follow that when properly used, helps diminish embarrassing or potentially harmful situations, improper behavior, and ineffective decision making. An organization usually has board-related, personnel, and financial policies. Conducting an audit is not a symbol of distrust. It is a mark of responsibility. It is good stewardship demonstrated for all to see. Formal training is not required and neither is a CPA. PBSI can provide a guidebook and audit program for your volunteers to complete this important annual task. Allow the board and staff to focus on the mission and program delivery with minimal distractions. Provide relevant, accurate and timely financial information to the various stakeholders (Board, members, donors), resulting in better decisions. Operate within a system of internal control that reduces the risk of fraud and mis-allocation of assets, while satisfying audit requirements. Minimize internal staff distraction and external fees for audit preparation and support. Board and CEO receive knowledgeable advice and mentoring from a trusted financial professional. We have strong industry experience in the following sectors: Service, Retail, Construction, Transportation, Not For Profit, Governmental, Education and Recreation. partnership, we advise clients on solving tough business challenges in ways that improve operational performance and drive sustainable results. As your independent, unbiased and objective representatives, we work hand in hand with your staff to provide technical expertise, flexibility and project control within a collaborative environment, and we deliver a project completed on time, on budget and most importantly, deliverables that are consistent with the client’s project goals and objectives.